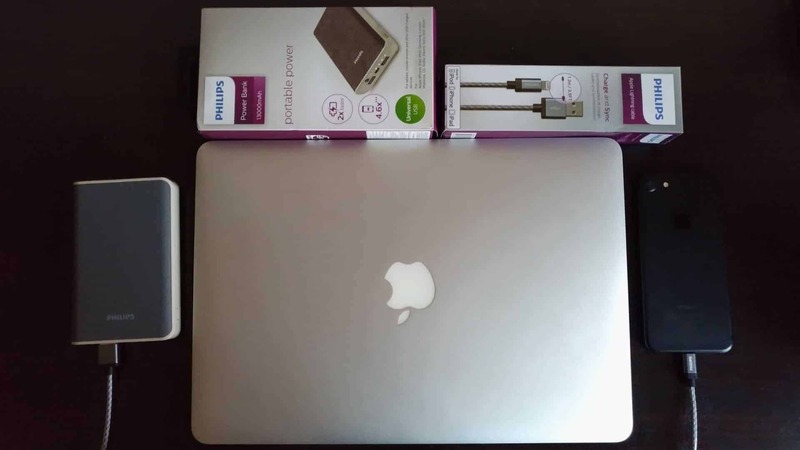 Philips Mobile Accessories – Testing Out the 13000mAh Portable Powerbank and an Apple Lightning Cable! Philips, the brand known for their innovation in consumer electronics has always been introducing latest technological advancements in their products. Now they’ve entered into mobile accessories segment in India which is already dominated by several Indian & Chinese OEMs. The Dutch technology company has partnered with ATI Electronics to launch their high-grade mobile accessories in India. To meet the consumer demands, and to give a head-on-head competition to other OEMs, all these Philips mobile accessories were disruptively priced. 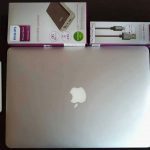 I had a chance to test a couple of the mobile accessories and this is my brief review of it. So, let’s get started! As mentioned already, from 1 week, I’ve been testing out a couple of Philips mobile accessories which were a Portable powerbank with 13000mAh capacity and an Apple lightning cable [1.2m long]. 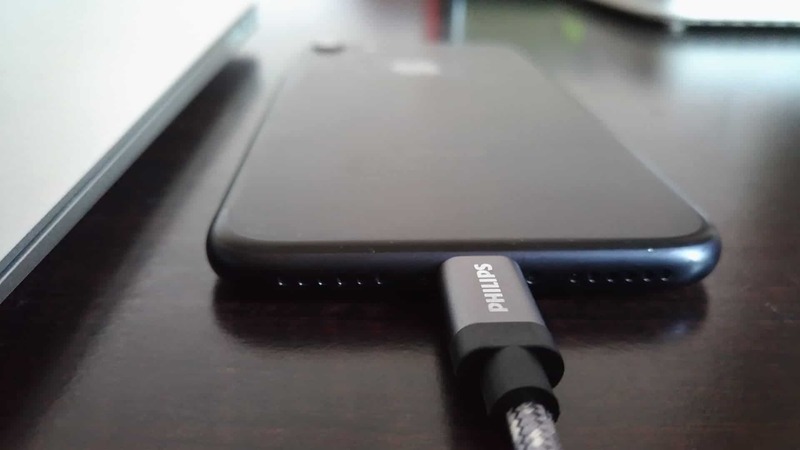 These two distinct accessories have become a part of our tech life, as every now and then, we carry them around to charge our phones, and to sync the data on the go. But first, let’s talk about the portable powerbank from Philips. Along with wearables like headphones or earphones, we are carrying a portable powerbank now to juice up our laptops, iPads and mobile phones. 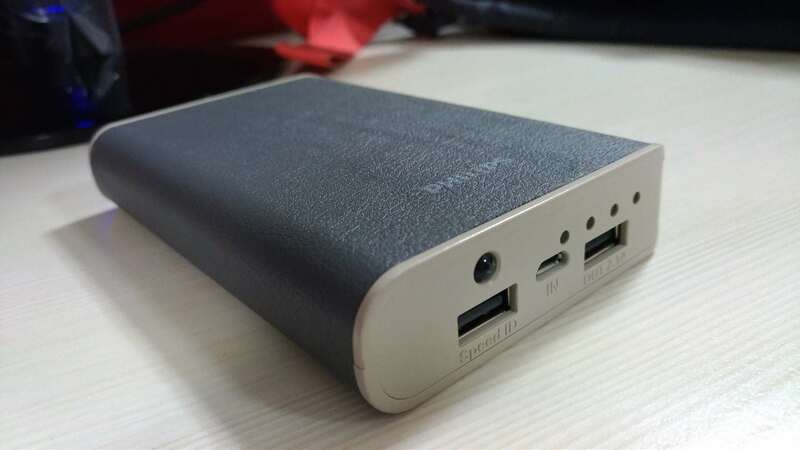 So, we usually chose a high capacity range powerbank which could powerup our entire range of gadgets. The Philips DLP13006 falls under this category as it has a capacity of 13000mAh. Philips followed a minimalistic approach for its portable powerbank design. The hard plastic case is housed by a leather-grade material, and the curved edges on every corner make me think of it as a normal pocketbook. There’s only one button which has a couple of functionalities like turning on the powerbank and LED flash. 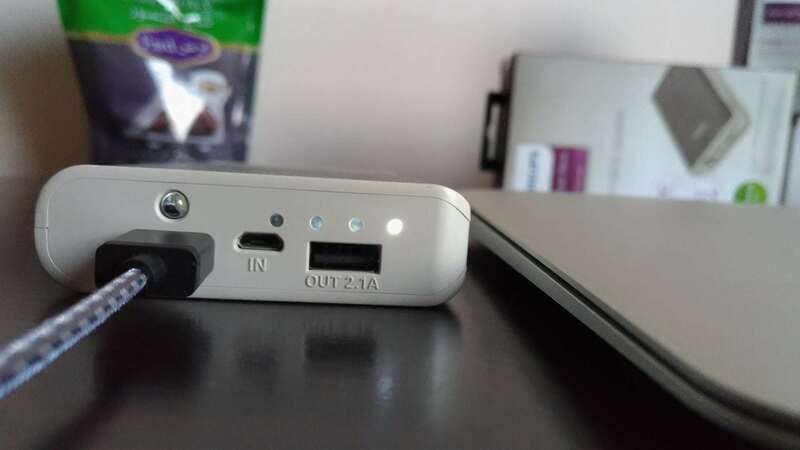 At the bottom, there are two USB 2.0 ports [a 2.1A and a 1A] to charge the devices and a micro USB port to charge the powerbank. Along with that, there’s a power indicator with 4 white LEDs and a LED flash. 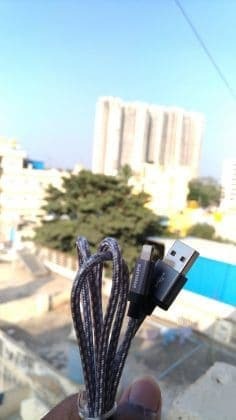 That’s exactly what you can find in this powerbank and there’s nothing much extra on it. 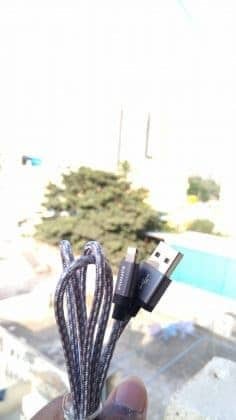 How many devices can it charge? How much time will it take to charge my phone? What’s the time the powerbank take to completely powered up? etc. Well, these are a few questions which normal users would think of when they’re about to purchase a powerbank. So, I’m going to address all this in this review. Now every new powerbank comes with two USB ports where one supports a 2.1A and the other port supports 1A. 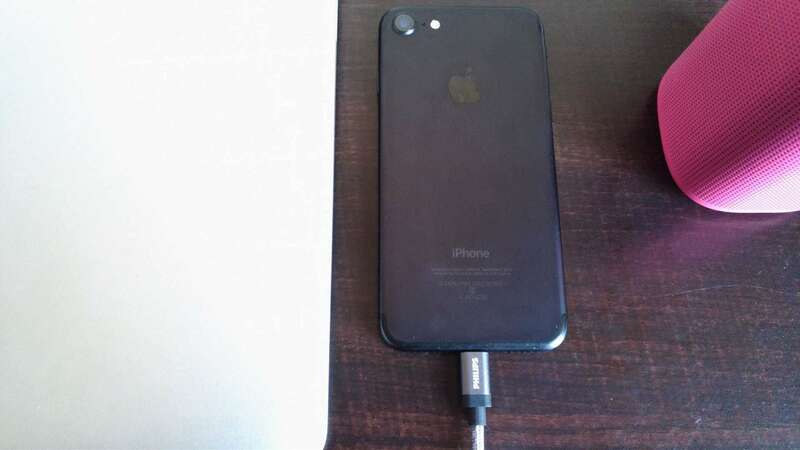 The former one could juice up your mobile phones, tablets, and laptops while the later is for low-range mobile phones, iPods, and digital cameras. So, at any point in time, the Philips portable powerbank could charge two devices simultaneously. I used my Asus Zenfone 3 which has 3000mAh capacity and used the second USB port of powerbank which supports 5v/2.1A. I used USB Type-C cable that came with the phone. So, from these two tests, it is found that an average of 75 minutes is required to charge a 1000mAh and it’s possible only when the device is connected alone. If there are two devices running simultaneously, then it’ll take even more time. 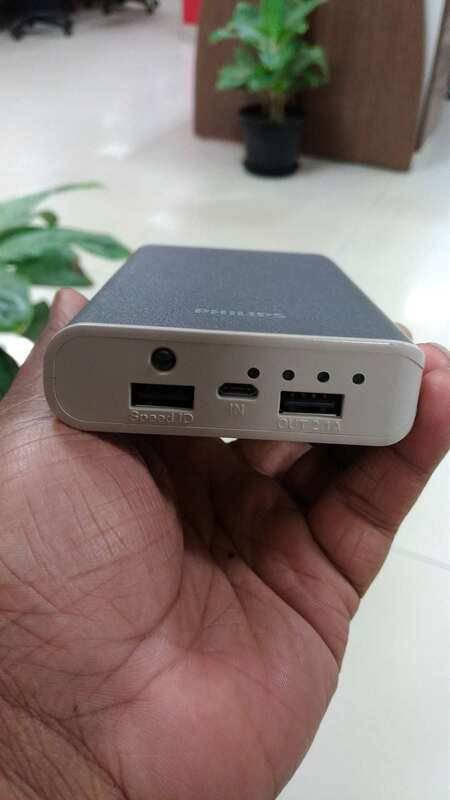 This also confirms that the powerbank will take a maximum of 4 hours to completely charge a 3000mAh phone. When we see it from a competitor perspective, it’s same as other brands like Protronics, Ambrane, Asus, and Lenovo but the powerbanks from Mi and OnePlus are significantly faster. So, it’s taking around 4 – 5 hours to charge a phone, how much time it will take to charge the powerbank itself? 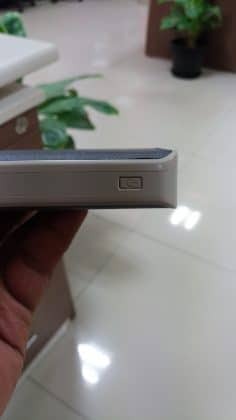 Well, it’s actually a big question :p [pun intended] as the powerbank has a battery capacity of 13000mAh range but it comes with a traditional micro-USB port. Again, it depends on the power adapter we use. I used a 5v/2A power adapter to juice up the powerbank and it literally took more than 11 hours. I know that’s quite a lot of time, but I feel it’s required as it’s of 13,000mAh range. Now let me conclude it like this – Philips is a major brand and is known for secure, compact and high-quality devices. I felt the same when using the powerbank. 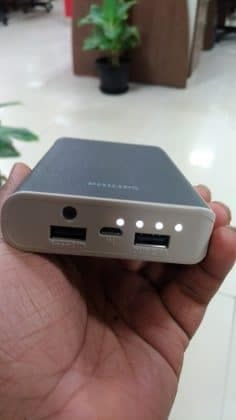 When it comes to pricing, there are other powerbanks which are priced lower than 3,000 INR and has 10000mAh capacity, but again, the charging cycles matter and the Philips DLP13006 would relatively last longer than other OEM’s powerbanks. So, I would recommend all to go with Philips if you’re looking for a long-lasting powerbank with a high battery capacity. Well, the Apple lightning cable from Philips does the same charge & sync function like a traditional Apple lightning cable, but the difference is the material it’s made of. 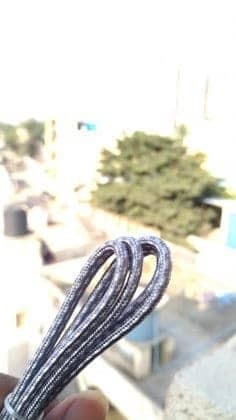 The Philips DLC250BN is a Nylon braided cable with a metal case. 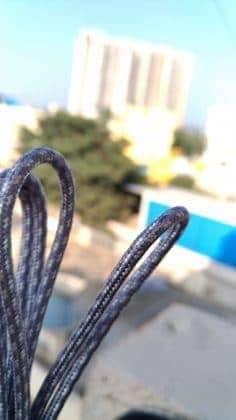 This could be a perfect alternative for a traditional iPhone cable which is known for tearing-off after a year as the cable is rubberized plastic. The Nylon braided cable lasts relatively long as it can be twisted, and can’t be wear-off easily. Also, the metal case comes handy as it can stick to the magnetic docks on the cabins, or in the car’s dashboard. I’ve tested the charging time and data transfer and it’s almost same as of normal iPhone lightning cable. So, there’s nothing much to talk about other than the material-grade. Honestly speaking, I’ve seen many people crying as their lightning cables cut-off. 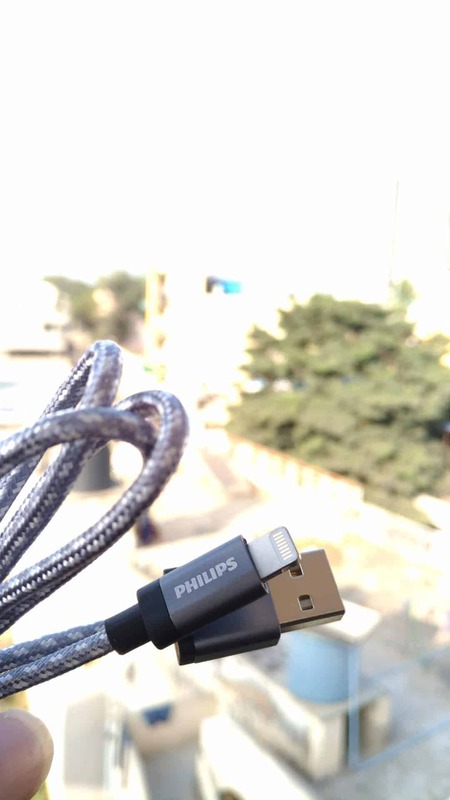 So, the Philips DLC2508N could be a perfect alternative for iPhone users. I personally chose a branded powerbank instead of new brands as charging cycles is what matters for a powerbank. 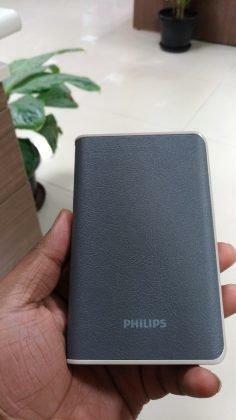 So, with all the unbranded powerbanks out there, I would recommend anyone to go with Philips instead of the rest. Also, as mentioned about the lightning cable, I'd suggest anyone have an optional one. Next articleYou’d Have Never Seen an Action Camera With These Features!